Want to know what books to read? 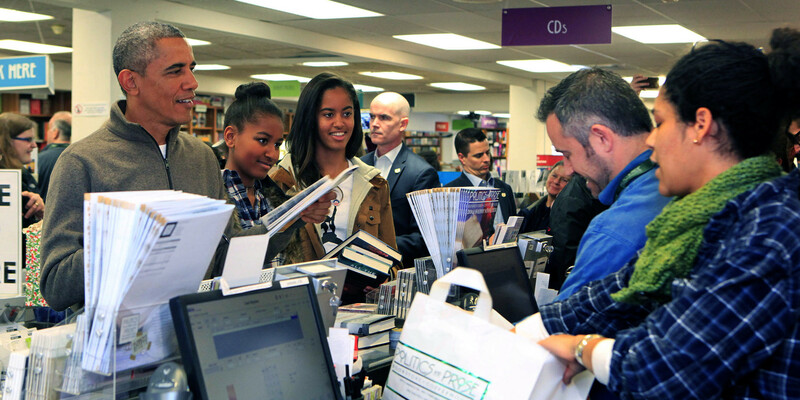 Here’s what President Obama is reading. It’s not always easy finding that next book to read, sometimes a little inspiration goes a long way. A couple of months ago, the White House released President Obama’s current reading list and, with elections happening both here in Canada and South of the border right now, we figured it’s a good time to put together a reading list. So, here’s what President Obama, who we learnt is a big fan of taking his whole family book shopping, is currently reading. If you found this list helpful please let us know, we’re always over on twitter and love to chat. Winner of the Pulitzer Price and from the highly acclaimed, multiple award-winning Anthony Doerr, the beautiful, stunningly ambitious instant New York Times bestseller about a blind French girl and a German boy whose paths collide in occupied France as both try to survive the devastation of World War II. Over the last half-billion years, there have been Five mass extinctions, when the diversity of life on earth suddenly and dramatically contracted. Scientists around the world are currently monitoring the sixth extinction, predicted to be the most devastating extinction event since the asteroid impact that wiped out the dinosaurs. This time around, the cataclysm is us. In prose that is at once frank, entertaining, and deeply informed, New Yorker writer Elizabeth Kolbert tells us why and how human beings have altered life on the planet in a way no species has before. Interweaving research in half a dozen disciplines, descriptions of the fascinating species that have already been lost, and the history of extinction as a concept, Kolbert provides a moving and comprehensive account of the disappearances occurring before our very eyes. The Lowland is an engrossing family saga steeped in history: the story of two very different brothers bound by tragedy, a fiercely brilliant woman haunted by her past, a country torn apart by revolution, and a love that endures long past death. Moving from the 1960s to the present, and from India to America and across generations, this dazzling novel is Jhumpa Lahiri at the height of her considerable powers. Celebrated biographer Ron Chernow provides a richly nuanced portrait of the father of our nation and the first president of the United States. With a breadth and depth matched by no other one volume biography of George Washington, this crisply paced narrative carries the reader through his adventurous early years, his heroic exploits with the Continental Army during the Revolutionary War, his presiding over the Constitutional Convention, and his magnificent performance as America’s first president. We hope you find something here that peaked your interest and maybe something new to add to your bookshelf. If you’re interested in discovering new reads and books, connecting with other readers and getting free ebooks, you should absolutely try the Shelfie app, click the image below to download the app.